Hair maintenance can go from the very simplest of haircuts to highly complex coloring, combing, and shaping. No matter how sophisticated your service, you'll find plenty of hair salons in Michigan ready to do the job. And do it well. Here are the best in the state! Saginaw's Rock Your Locks comes with one immediate distinction in its favor—it was a recent winner of the Top 5 on 5 from WNEM in the mid-Michigan area. It was declared best salon in the Tri-Cities—Midland, Saginaw and Bay City—and with good reason. A look at their Facebook page will show you hair of just about every style and coloration, from waves of gray and blue to bright shimmering green. No matter what your taste, Rock Your Locks should be ready to go. Clio's Studio 57 also took home accolades from WNEM, this time for being tops in Genesee County. A salon that recently moved into a new building—which it then reshaped to meet its needs—it delivers plenty of services for those who make the trip. An automated phone booking system helps keep the appointments straight, and the salon offers color in both one and multi-dimensional. 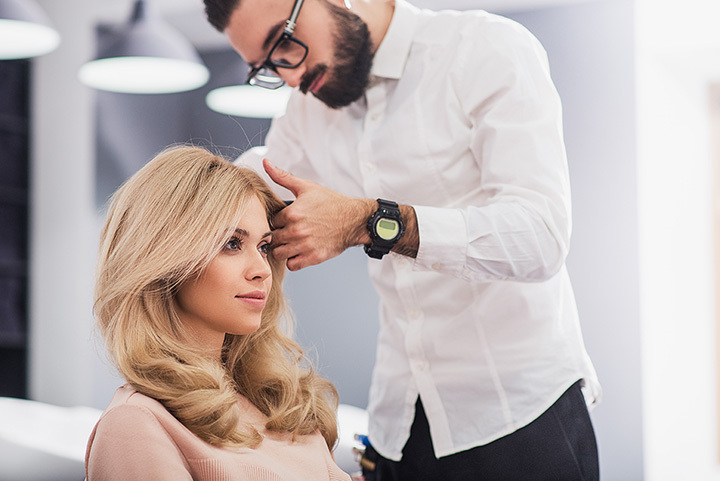 That's just for starters, though, as brow tinting, up-dos, and several other services also kick in to make Studio 57 a real powerhouse in the hair salon field. This salon provides the people of Constantine with a wide range of hair services. Perhaps the best part of Styles by Stiles is its devotion to a good value. They offer a punch-card scheme that cuts already affordable prices in half upon the completion of the tenth visit. Services offered include cuts, colors and more, making it not only an affordable stop, but one that has the level of service that customers will want when they get there. Ann Arbor's SalonXL boasts a serious pedigree—it's been selected as Michigan's best for four years running. Elle recently gave it one of two slots for Michigan in the “100 Best Salons in the U.S.” list, which only augments SalonXL's standing further. So what does SalonXL offer for that level of kudos? Services not just for the hair, but also for the face, body, and nails. There's also an entire range of “special occasions” services specifically meant for those functions that require something extra. Royal Oak's Alex Emelio Salon took the second of Michigan's two slots in the Elle study, which makes it almost equally matched with SalonXL. With a staff that undergoes “continued education,” it's a safe bet this place is up on the very latest in styles. Alex Emelio uses a graduated pricing system based on a range of factors to ensure that each customer is addressed as needed, and offers a full range of options from coloring to straight cutting. A slate of “beauty bar” services like eyebrow tinting and shaping helps add a further dynamic touch to the salon's slate of options. The Grand Haven Tribune had one pick in mind for the best hair salon in Grand Haven for not only 2017, but for 2016 as well, and that's none other than Nature's Envy. Nature's Envy not only won top honors for its hair services, but also for its nail services in both years. They even took the “Best Hair Stylist” category in 2017. With all those awards behind it, it's little surprise that Nature's Envy is as sought-after as it is—with straight haircuts, shampooing, and blow drying, stress-relieving treatments and color options, Nature's Envy lives up to its awards nicely. Studio 22 was once featured in Traverse, Northern Michigan's Magazine on the strength of one of its stylists, Ane Morgan. That's saying a lot for a Leland shop, but it gets better from there. Studio 22 is also deeply focused on massage, skin care, and other wellness solutions to make it a full-service operation that can take care from the hair to the toes. Remember that Traverse listing that gave the nod to Leland's stylist? Well, Salon Verve was featured in that same article four times. That's a point to take notice of, and one that gives Traverse City's Salon Verve a real edge in the market. Cut and color services are on hand, of course, as are a range of nail care options, skin care options, hair texture and hair removal services as well. Throw in the fact that Salon Verve is an organic salon and it's an experience that you can not only feel good while doing, but also feel good about doing. Jackson's FiveOneSeven Salon, named for its area code, offers up an excellent range of services, and even encourages experimentation to a degree. A program called “New2You Mondays” offers special pricing on service packages like a $39.95 mani/pedi, and a club offers points for every transaction which can be applied toward future savings. Throw in late hours—they're open until 9 p.m. Monday through Thursday—and you've got a salon that accommodates its customers. So named for its Marquette location in the Upper Peninsula, or the UP, the UP Hair Company provides its customers with a range of cut and color options, including some thoroughly noteworthy coloring adventures in a range of blue shades. Throw in a clear connection to the area—they've got pictures of their Heikki Lunta celebrations, a tribute to the Finnish god of snow that originated in the UP—and this salon will not only provide top-notch services, but do so in a fashion that respects its heritage well.